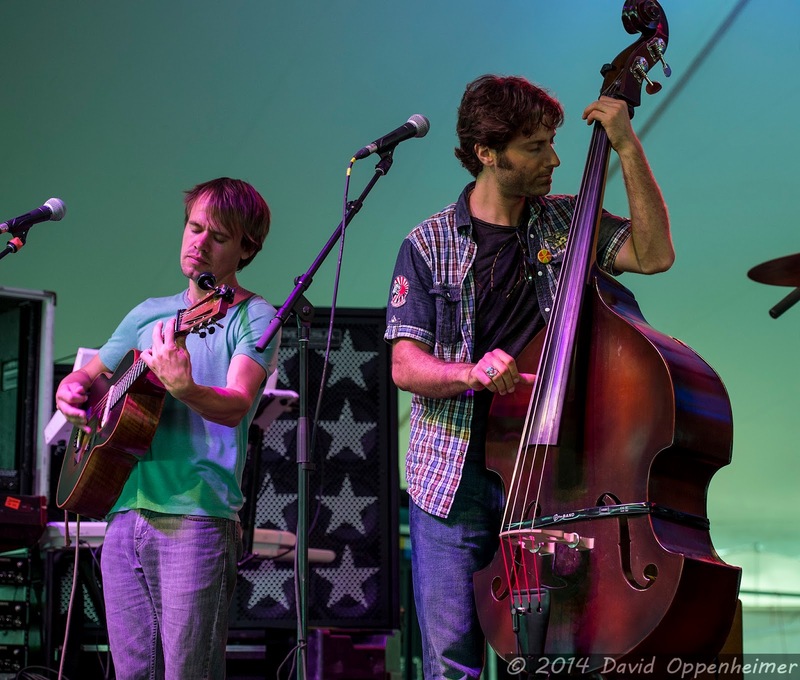 The LEAF Festival is the region’s premier family friendly camp out and music/arts extravaganza. This three day multicultural conglomeration of the arts happens twice a year at the beautiful Camp Rockmont on Lake Eden in Black Mountain, NC. They call it Lake Eden for a reason: the venue is absolutely paradise. 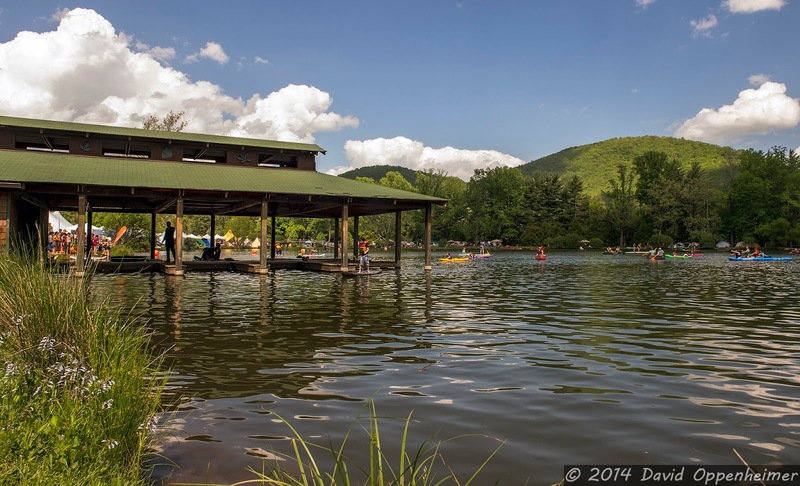 LEAF Festival features astounding mountain views and fun outdoor activities such as hiking, swimming, boating, and even a zip line. LEAF is also the perfect place to bring your whole family. There are entire stages and installations devoted to entertaining children and teaching them to appreciate music and art. There are workshops for people of all interests and ages, not to mention traveling visual arts performers and parades that you can find wandering the festival grounds at any time. One of the greatest things about leaf is the blend of world cultures that all come together to create a melting pot for people to experience. From Contra Dancing and West African percussion to didgeridoo workshops and Qi Gong, this festival has it all. LEAF is also the perfect place to let loose to the awesome music and get your dance on. 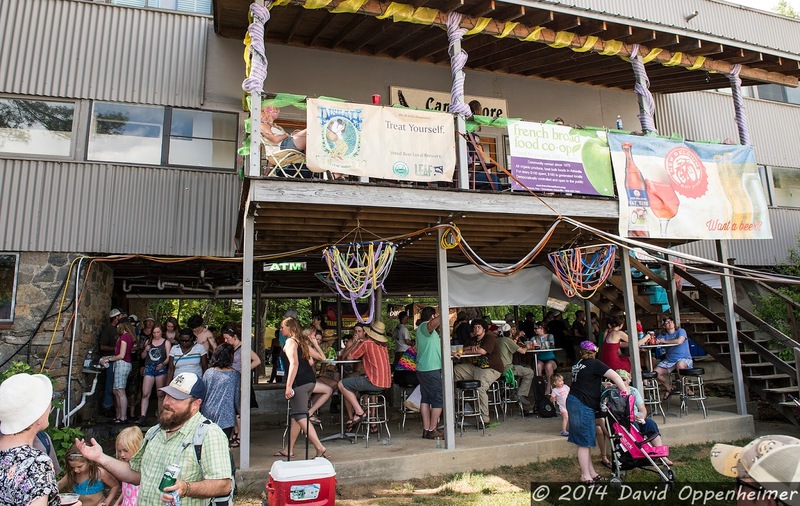 The festival was set up with a main Lakeside Stage and several other stages including the Barn and the Eden Hall, which doubles as a breakfast cafeteria. 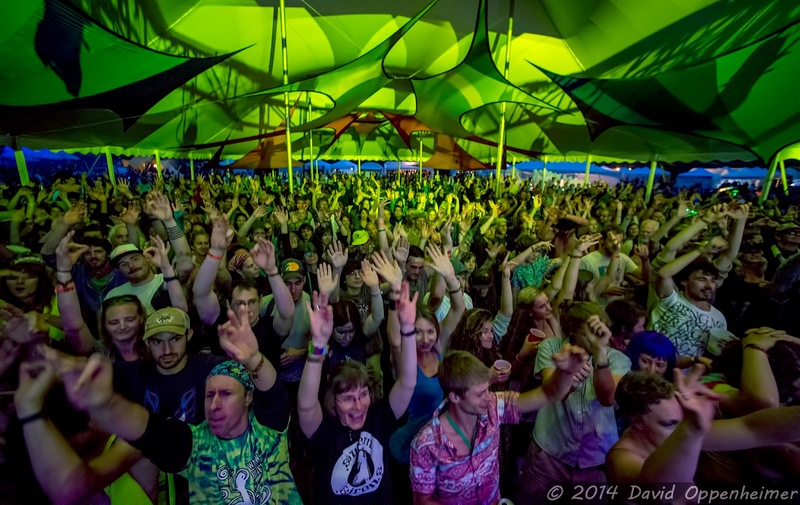 Spring LEAF 2014 featured what many would argue was their best lineup yet. 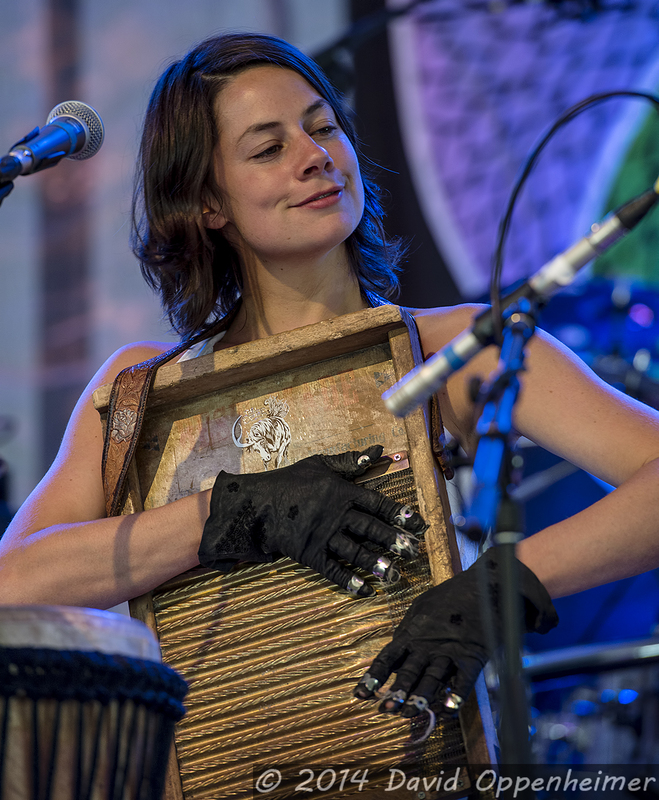 While music technically starts on Thursday, Friday officially kicked off the festival right with some of the best in everything from mountain folk music to salsa. A major Friday highlight included Boukman Eksperyans, a Grammy nominated Haitian band consisting of at least 15 people on stage including dancers and plenty of percussion. 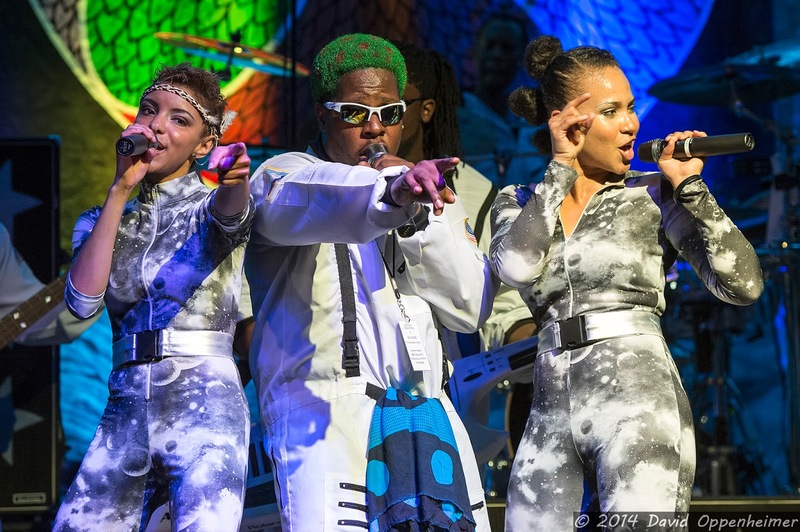 Their style is known as Rasin, which is a Haitian blend of reggae, rock, and voodoo music. 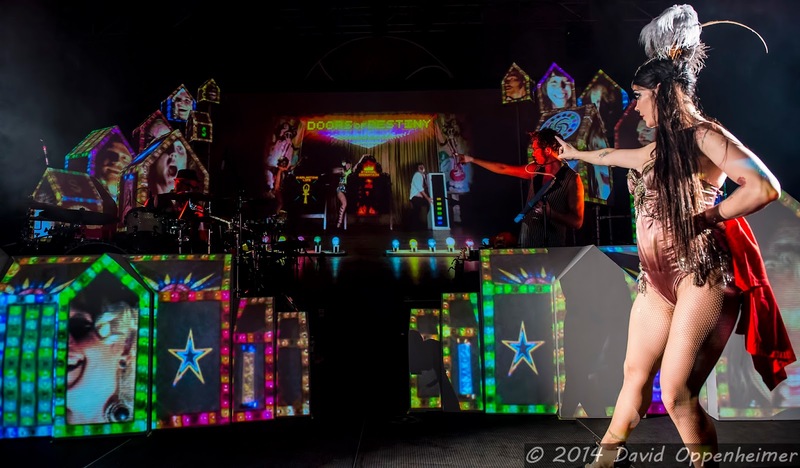 Friday’s headliner was Beats Antique, who can only be described as world-fusion electronica. 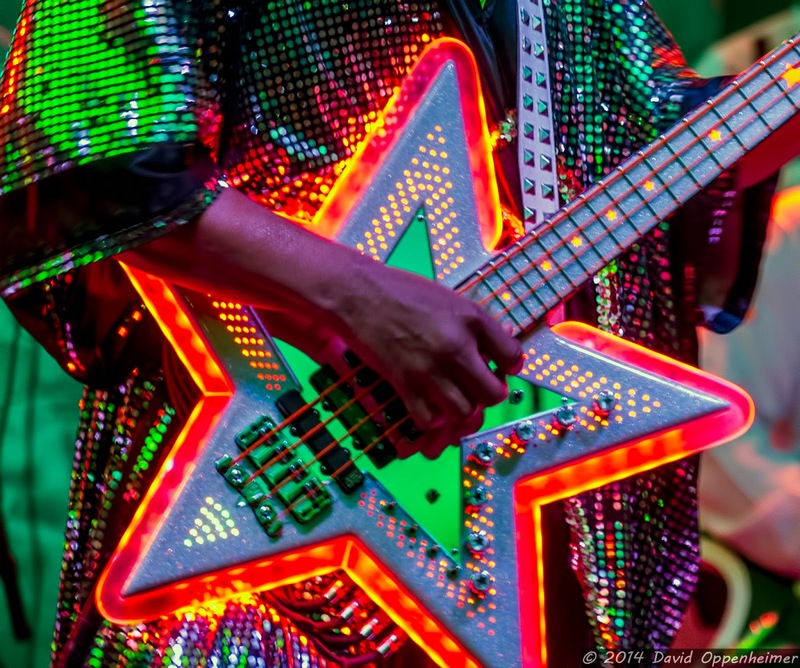 Their music often has slight middle-eastern feel and is showcased by an incredible light show and a professional belly dancer named Zoe. 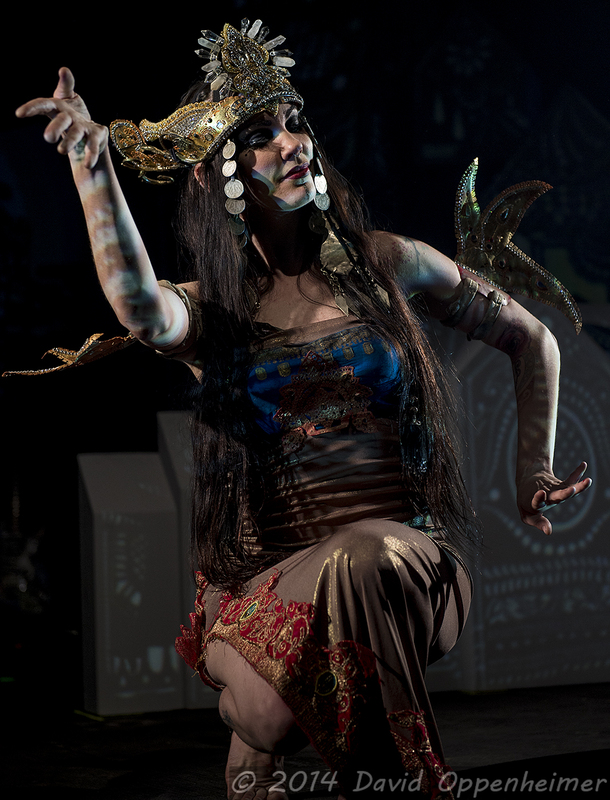 Judging from the crowd’s reaction, Beats Antique was a welcome addition to the LEAF family. Since LEAF is a family festival, the quiet time starts outdoors at 11 PM. Music ended at the “late night” Eden Hall stage at 2 AM. At that time, all of the adults who are still up and active make the hike up into the dark woods to go to the drum circle and bonfire, which rages on with intricate tribal beats until well after the sun comes up. Saturday was equally as diverse musically, if not more so. Spectators could spend the beautiful sunny day walking from fiddle competitions to throat singers, to poetry slams. 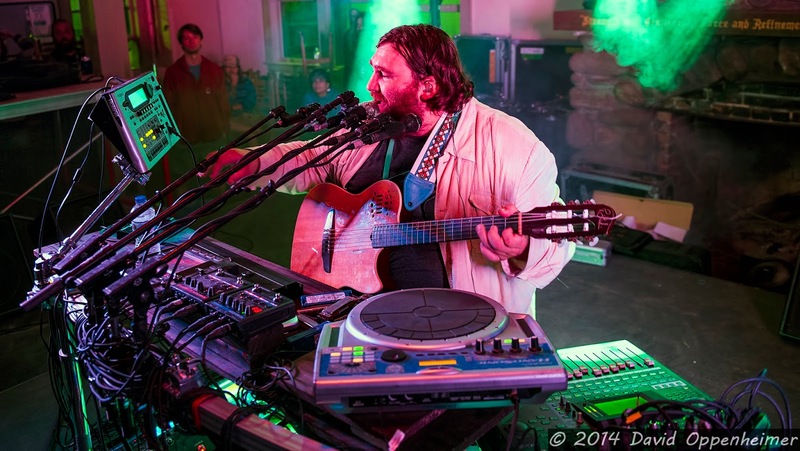 The main stage featured some truly outstanding musicians including Zach Deputy, the one man band. The Saturday lineup also allowed for some acts that played the night before on other stages to be featured on the main stage. This includes Locos Por Juana, a latin fusion funk band, and Red Baraat, a Brooklyn based Bhangra brass and funk band. Both of these acts were incredibly talented. 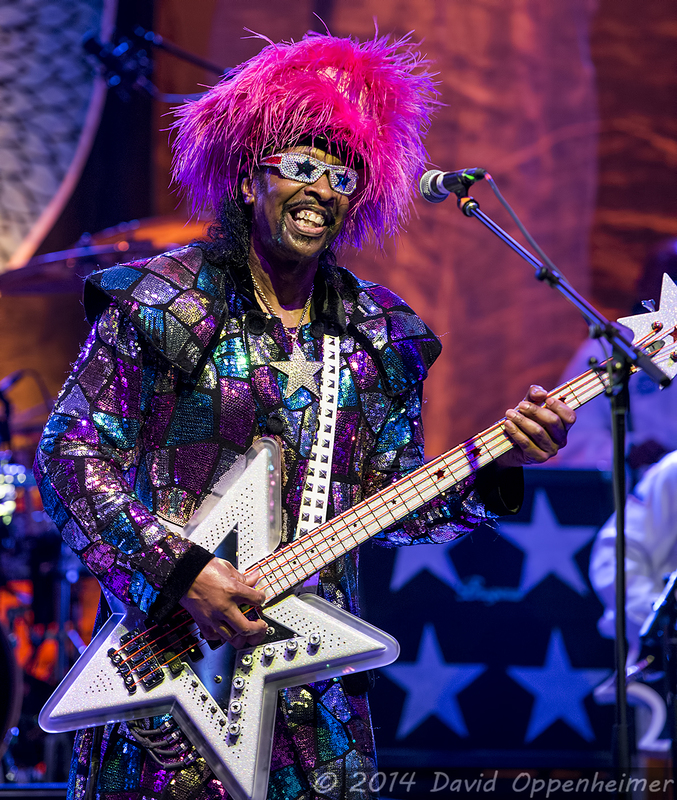 Finally, the Saturday headliner, Bootsy Collins and The Funk Unity Band, took the stage with a grand entrance and massive entourage. 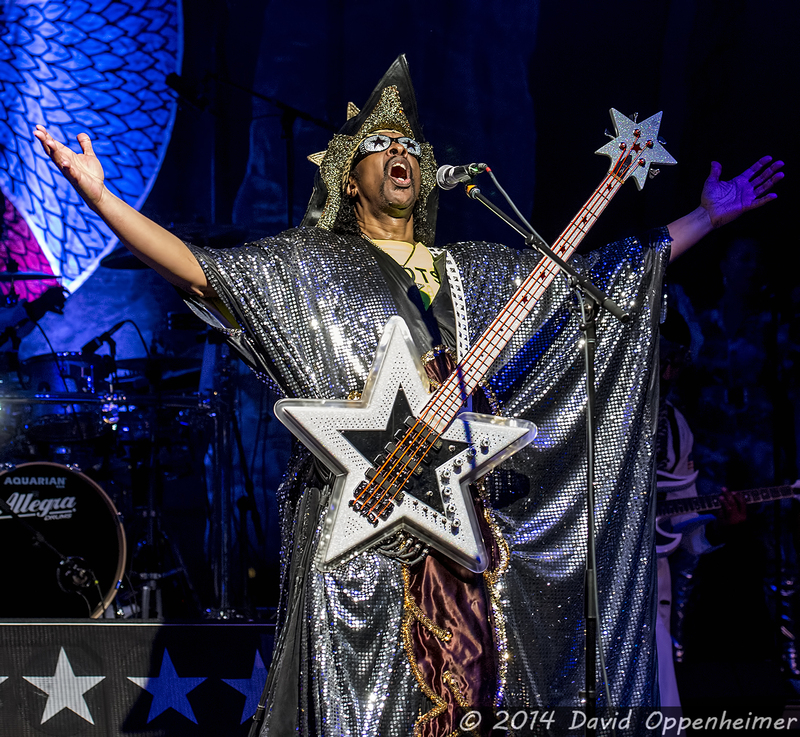 With his glowing red star bass guitar, Bootsy was one of the funkiest shows LEAF may have ever seen. 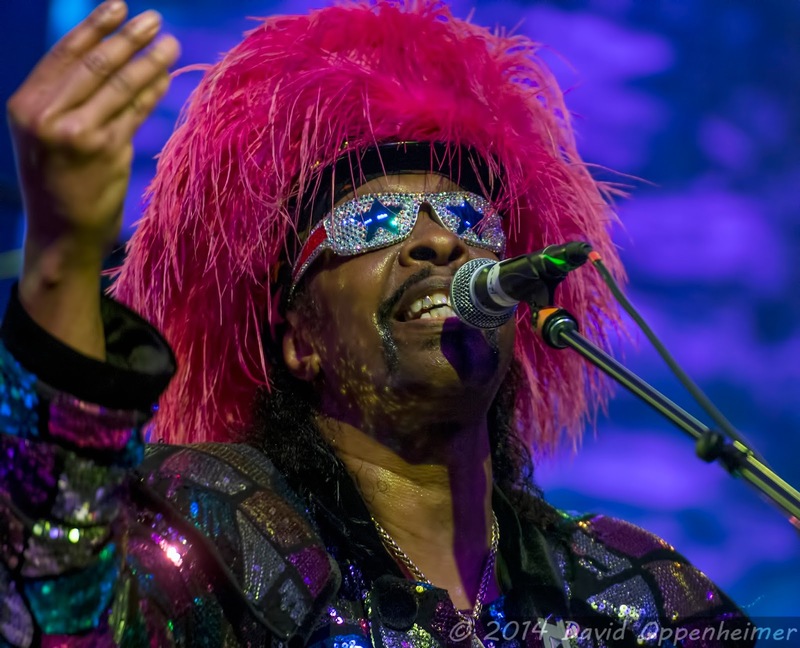 Hailing from a past of working with James Brown and being the main bass player for Parliament Funkadelic, Bootsy had a stage presence like no other. Sunday at LEAF was more relaxed. There were gospel sessions as well as some local bluegrass to start the day. 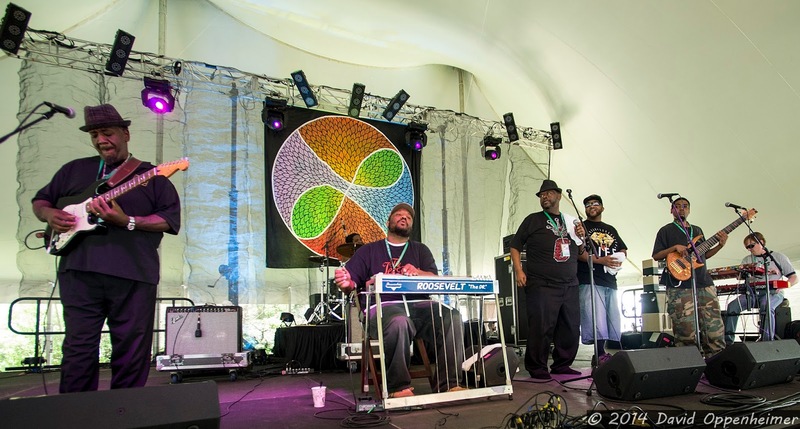 The Lee Boys took to the main stage around noon and pleased the crowd with their steel guitar based gospel music. It was then time for the Sierra Leone Refugee All-Stars, an authentic African reggae and world-music band who has been a fan favorite for many years. To close out the festival on the main stage was The Family Stone. 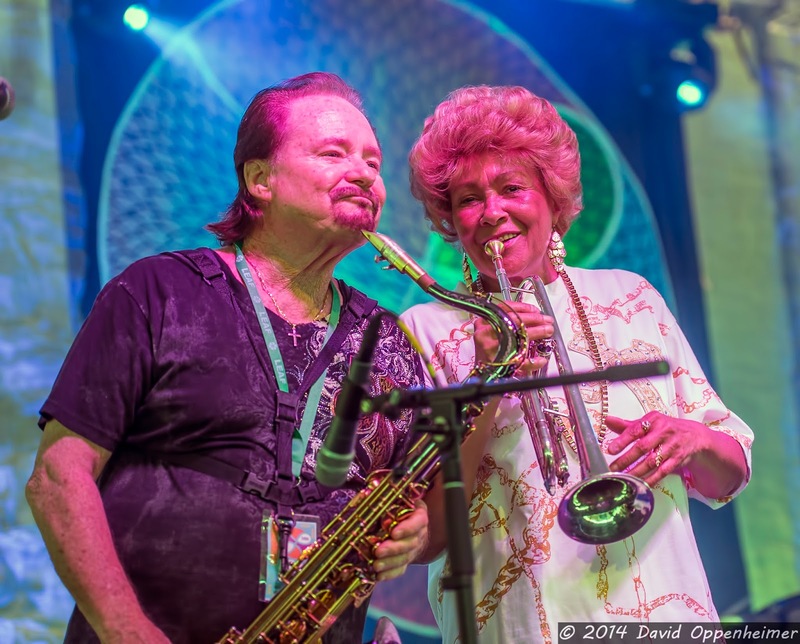 The Family Stone is a psychedelic funk and soul band that has been around since the early 1970’s. They have been making people boogie ever since. Even without Sly, they were the perfect funky ending to an amazing weekend of music out in the spectacular Blue Ridge Mountains. 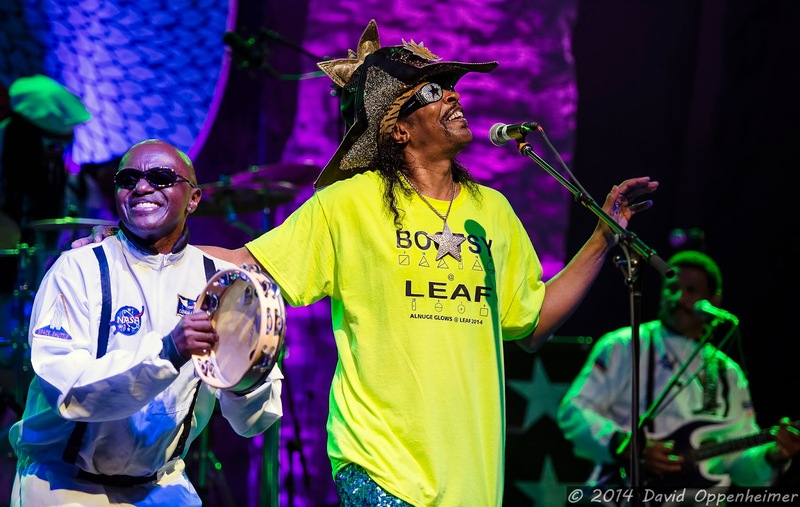 The LEAF Festival brings magic to people who come with their families from all over to experience the spectacle of not just music and positivity but also artistic expression. As always, at LEAF there were a few dozen vendors set up who were selling some of the best homemade arts and crafts in the region. Pottery, homemade candles, paintings, and clothes were just some of the things that curious festival goers could bring home as souvenirs or gifts. The food vendors were equally as satisfying, showcasing local kitchens and food trucks. LEAF has become an instant favorite for nearly everyone who has attended. Both the young and old can appreciate what has been put before them at LEAF, as they realize that they are one of the lucky ones that are able to attend such a culturally exquisite spectacle in the prettiest mountains in the world.